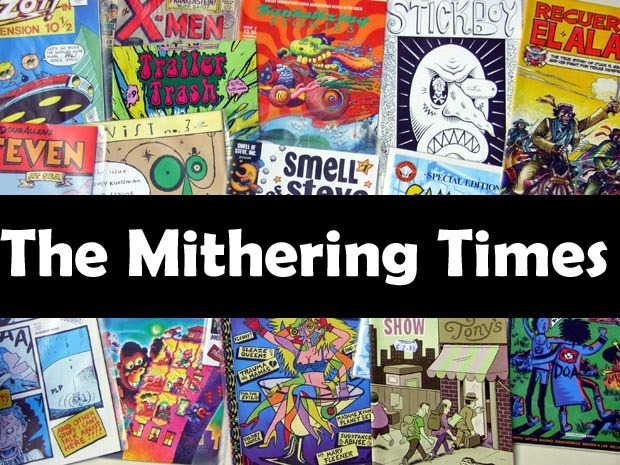 the mithering times: Eat Yourself Fitter. Eat Yourself Fitter., originally uploaded by mithering. I work with this bloke called Barry who is legendary within the office for creating fantastic meals with the minimum of equipment. He once used a microwave oven and a kettle to cook trout stuffed with watercress and watercress sauce and buttered noodles. 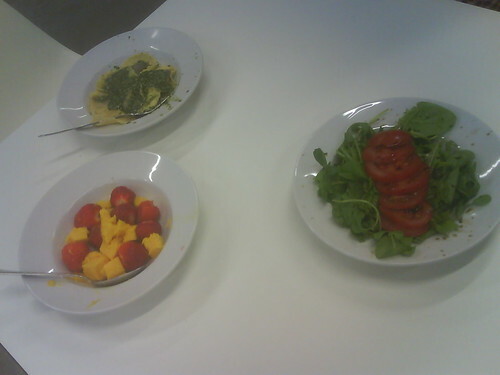 Above is his dinner from yesterday; stuffed pasta and pesto, rocket, water cress and tomato salad and, for pudding, fresh stawberries and mango. It smelled delicious.